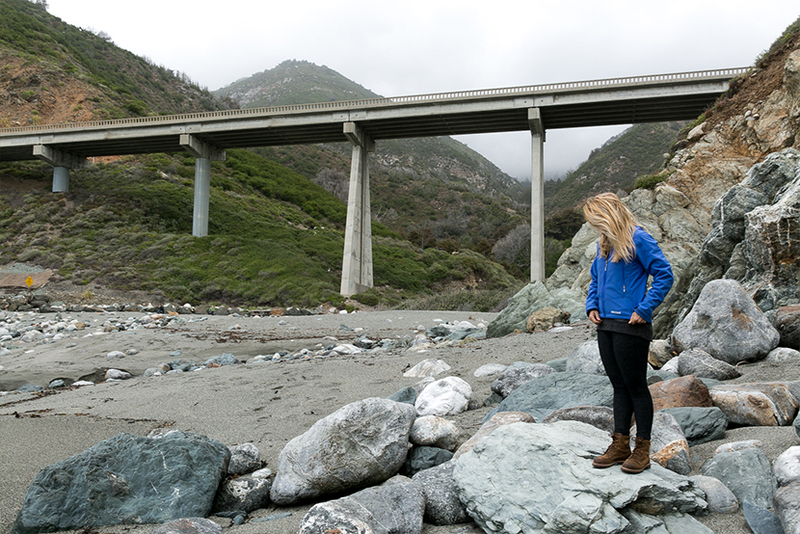 Last week we shared the first half of our time out in Big Sur. If you missed it, head over to that post and check it out before diving in here. This half of our trip was much more rugged and wild. 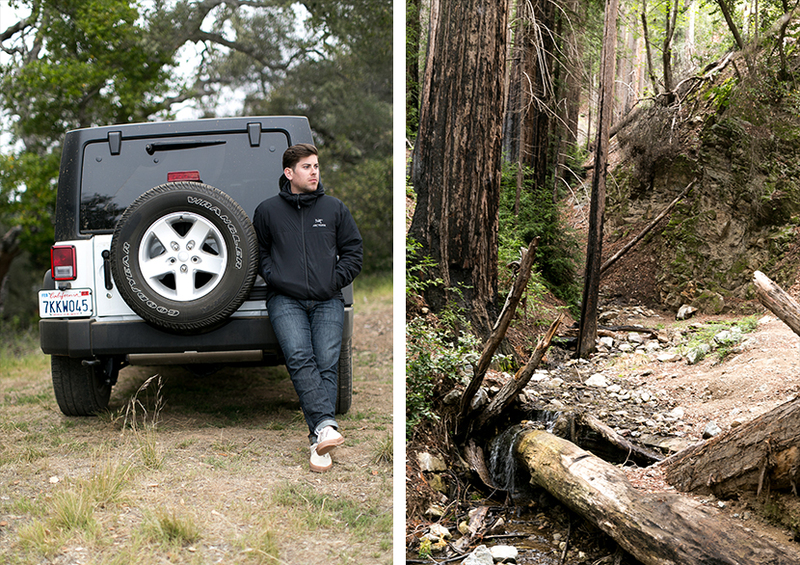 We slept in our 4-door Jeep for two nights and were completely off the grid the entire time. 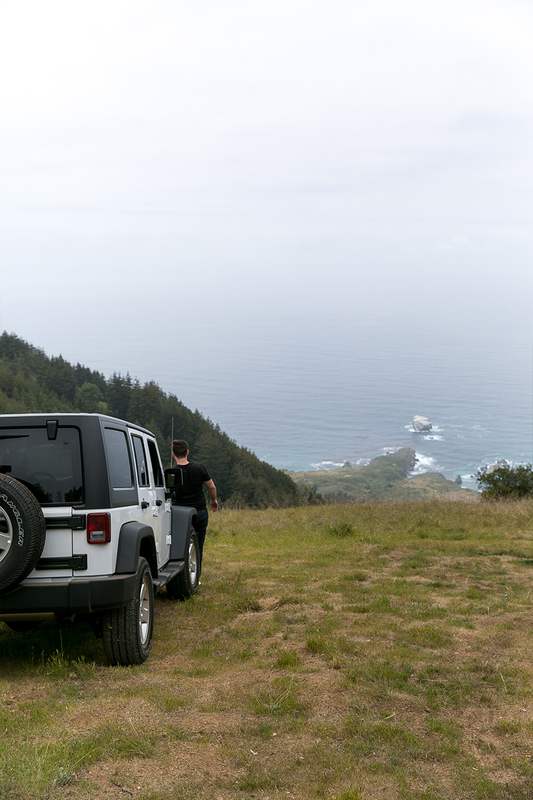 It was pretty cold while we were out there so we spent most of our time getting lost on winding dirt roads that took us to amazing views of the coast, great camping spots, and tested our Jeep’s 4-wheel drive capabilities. The first half of our trip was amazing, adventurous, and extremely comfortable, so it was nice to switch it up and go off the grid. 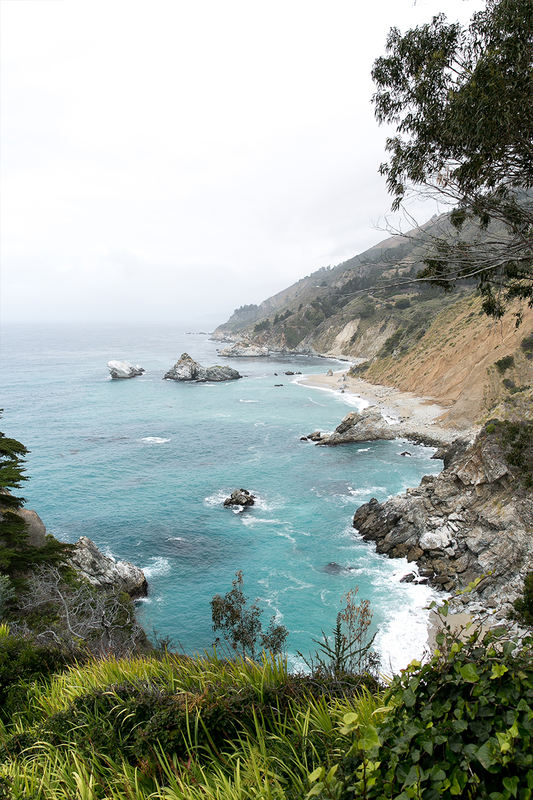 We love seeing both sides of Big Sur. 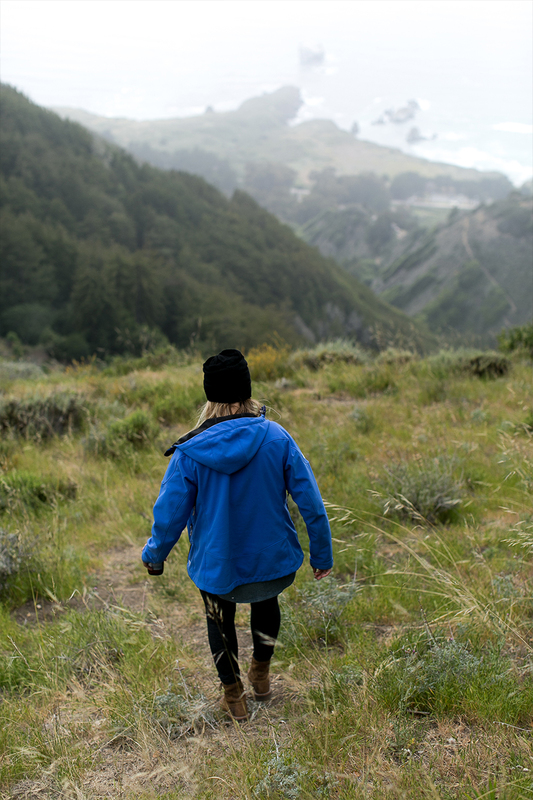 To experience a place and to allow it to grow you, you have to push yourself to try something that makes you a little uncomfortable to see what is around the next curve. I will tell you every time we chose to go just a little further it became even more amazing on this trip. We saw beautiful things, experienced stillness, and found a new appreciation for each other. 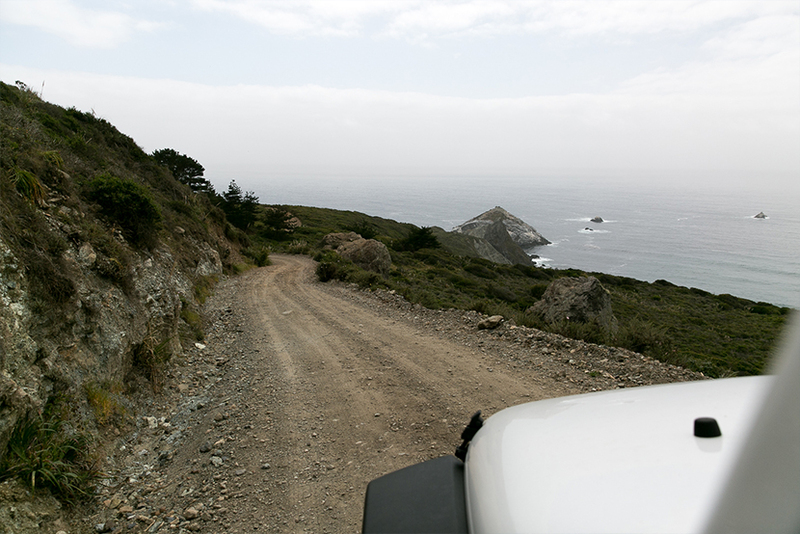 The Thursday after the Adventure Summit with Bota Box, we packed up the Jeep and headed south down Highway 1. We had no plans except a few destinations for eating, views, and some back road driving. The best part of having no real destination is that everything is a surprise. You come across monumental stops you didn’t know you would see that day. 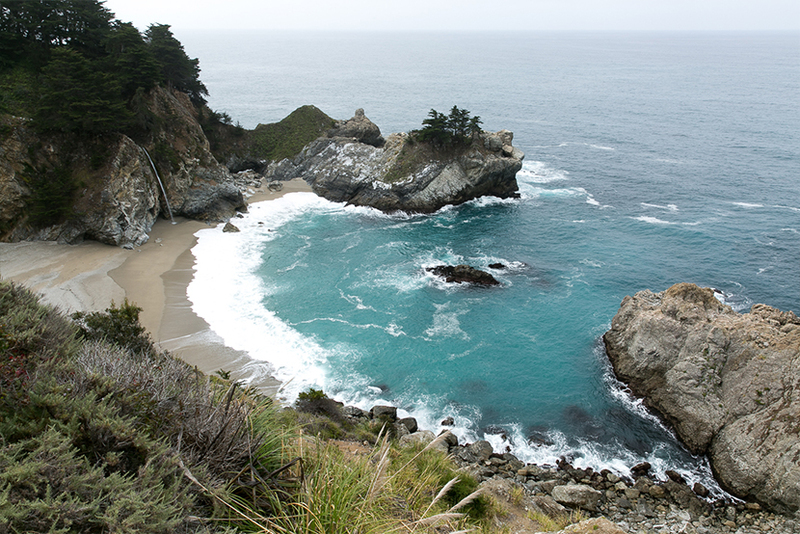 One of which was Mcway Falls at the Julia Pfeiffer State Park. 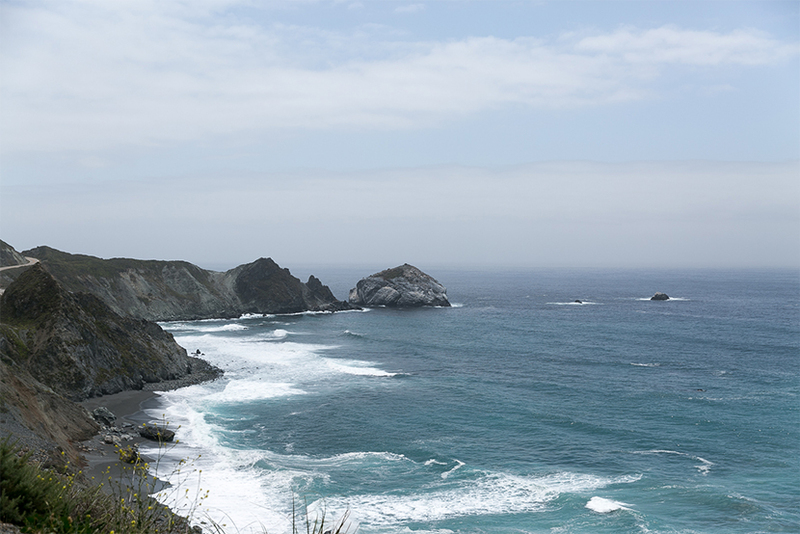 It is a landmark on Highway 1 you have to experience. 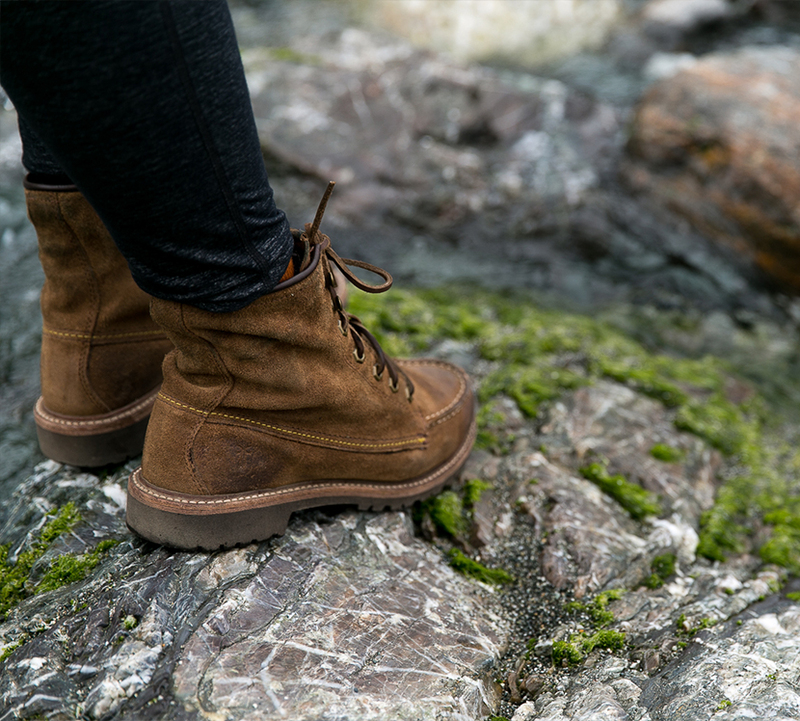 You cannot get down to the falls, but you can overlook them. Even on a cloudy day the colors are worth the sight alone. The shade of the water is always bright turquoise and incredibly beautiful. Park on the side of the road or in the state park and walk over. It is worth the stop and a picnic even. From there we continued driving south and allowing ourselves the ability to say at any time, “we need to stop.” Sure enough we did. 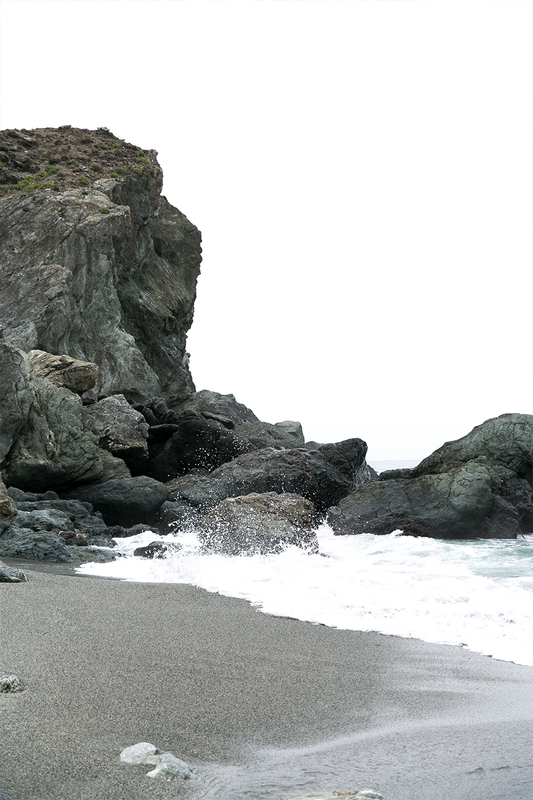 We wanted to get down to the water and feel the rush of the Pacific Ocean. 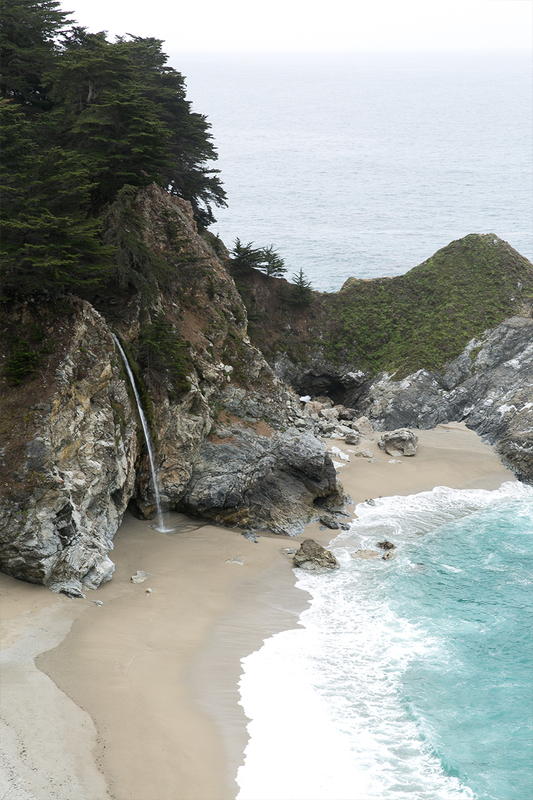 After seeing the beach at Mcway Falls, we wanted get a little closer. 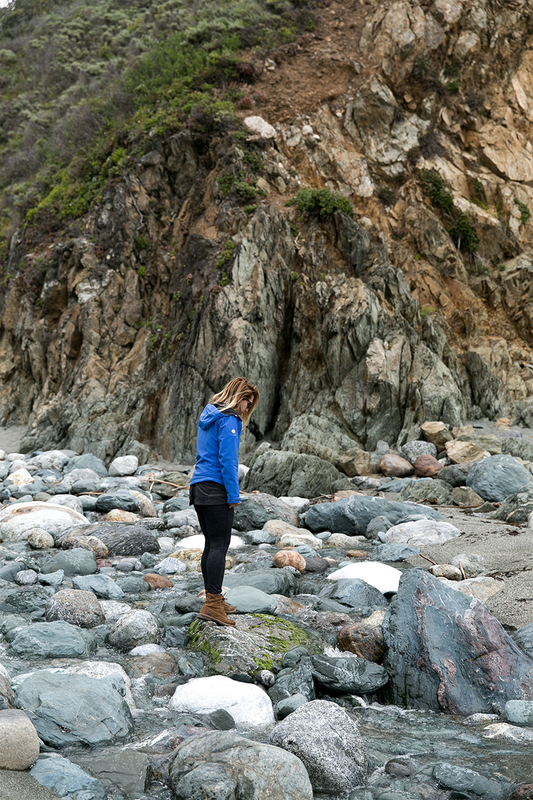 We discovered Limekiln State Park and thought it would make for a great camping spot, but the whole campground was booked. 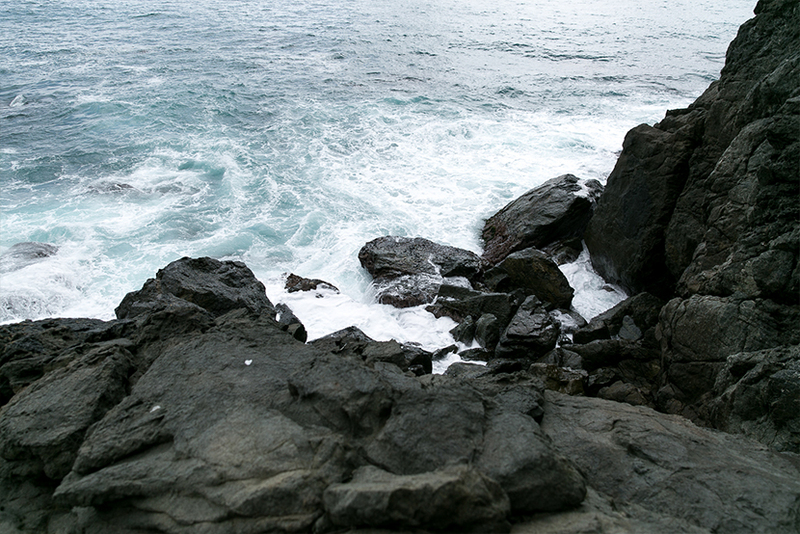 Instead, we took advantage of the beach and spent time wandering around and watching the waves crash on the rocks. 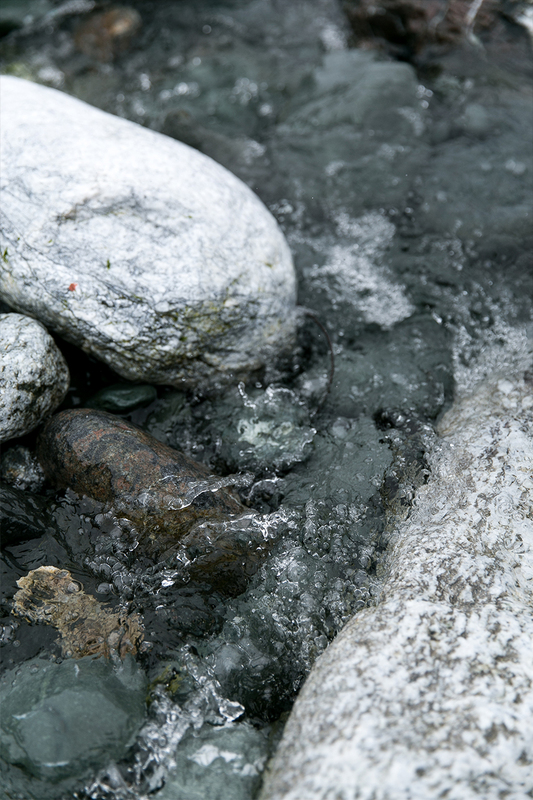 The colors of the rocks were beautiful. The underlying turquoise tone of the rocks seemed to have been created by the ocean water (though I know that’s not how it works). It was beautiful against the moss covered hills around us. 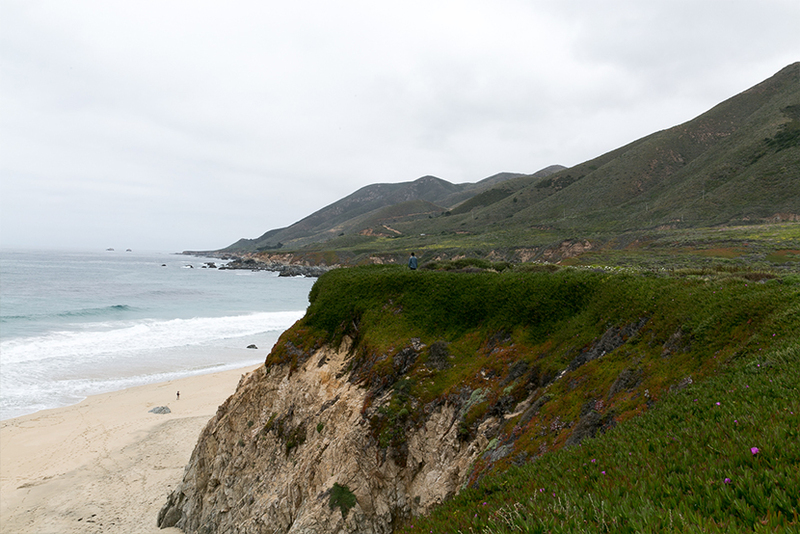 After some time traveling south we decided to head back north toward Big Sur to get some dinner and find a camping spot. 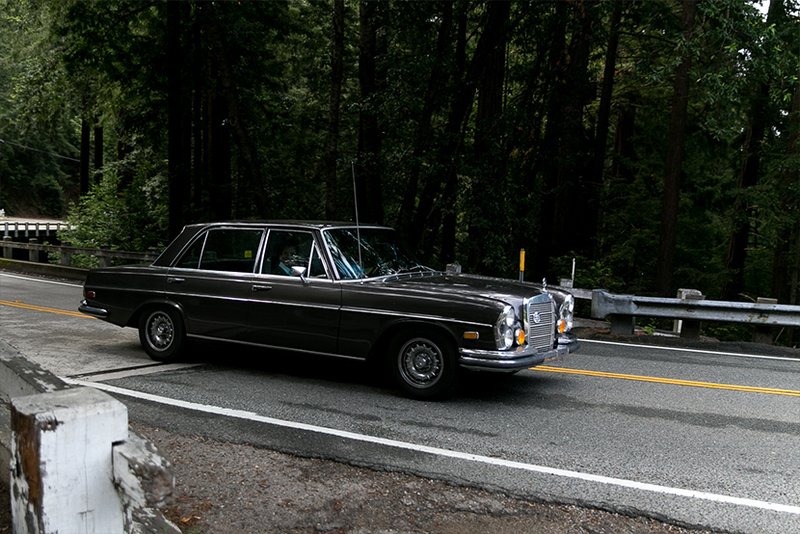 We grabbed lunch at the Big Sur Bakery and decided to lay claim to a spot at Pfeiffer State Park for the night among the Redwoods. They smelled heavenly in the damp air. We spent the night cuddled up in our North Face sleeping bags, we had brought with us (they pack down so small!). 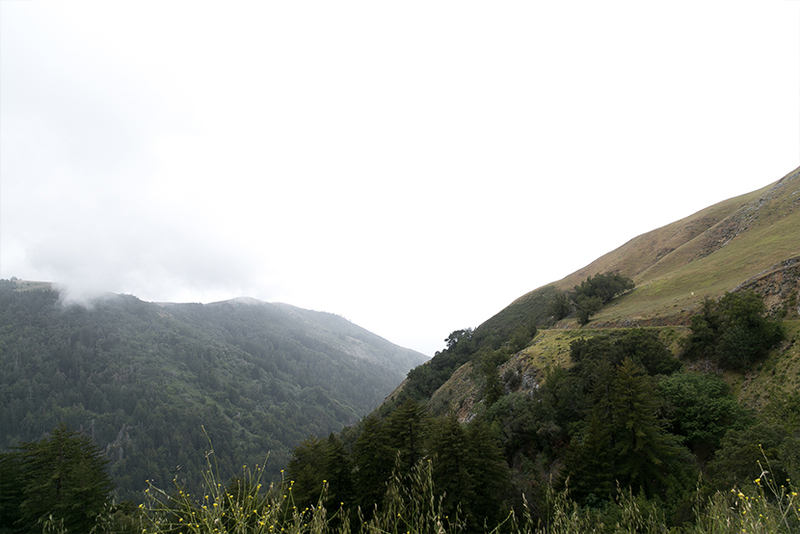 We were put to sleep at 8 PM by the pouring rain coming through the tops of the Redwoods above us. 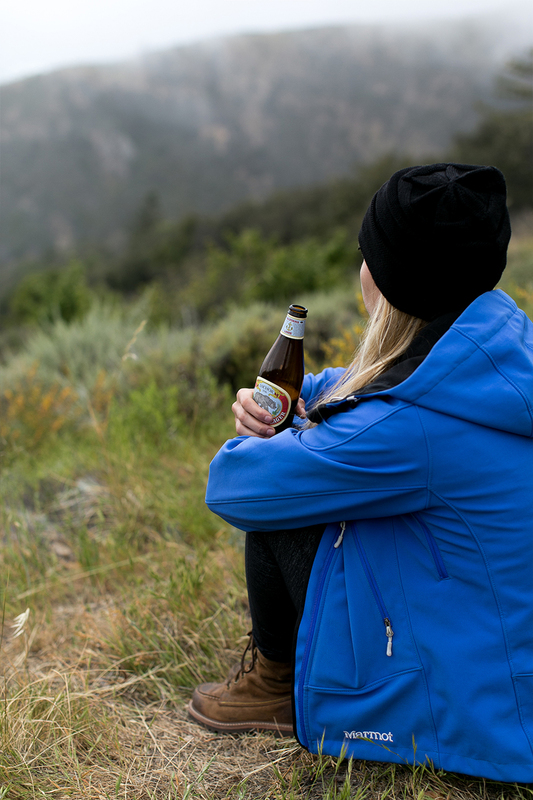 It was chilly and cozy in all the best ways. Though it wasn’t the most comfortable space to sleep in. 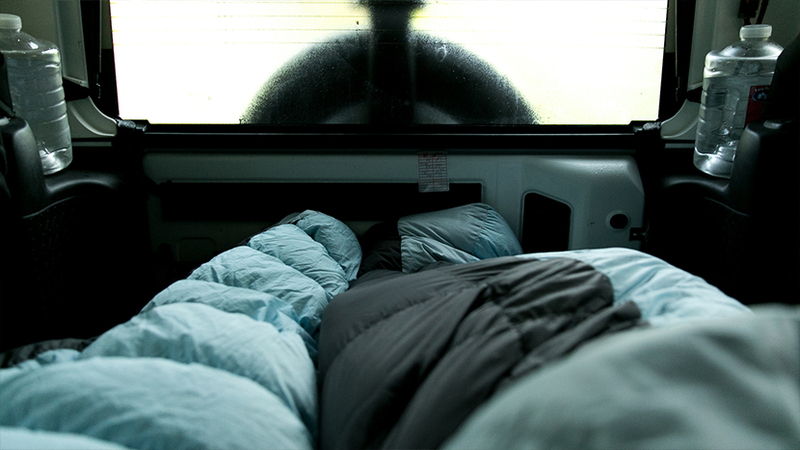 It was still really fun to take on the challenge of sleeping in our car for a few nights. Waking up the next morning at 8 AM we packed up, headed south again and this time with the intention of making it down to Treebones Resort for some food and to take in more of the landscape. 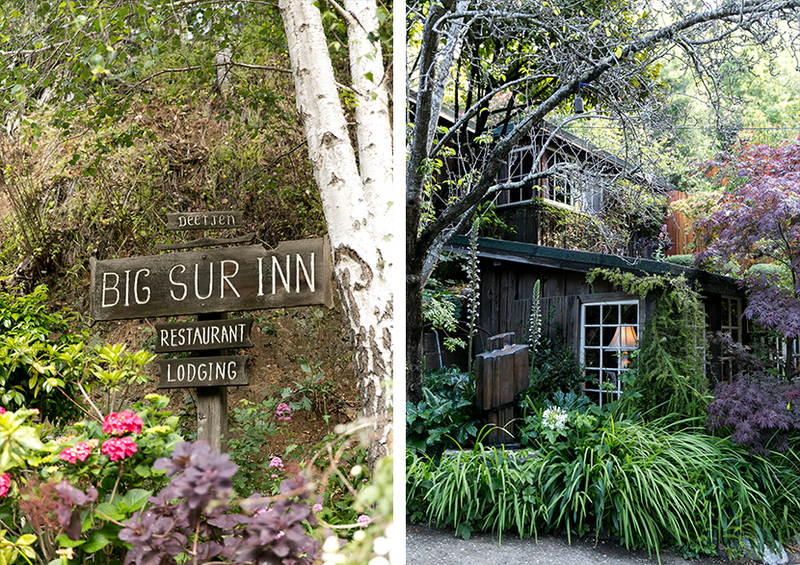 We put on our Big Sur Playlist and wanted to grab some hot coffee and a big breakfast at Deetjen’s Big Sur Inn. 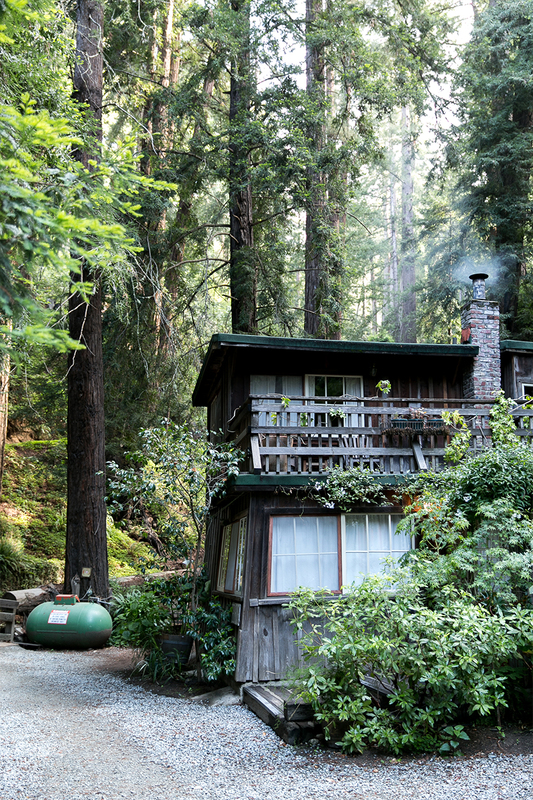 If you haven’t heard about this adorable spot right on Highway 1, well let me tell you. This place is not only beautiful, cozy, and warm, but the food is fantastic. The portions are large, and the coffee is the perfect cup you need. Not to mention the bottle service mimosas for those that aren’t driving. The restaurant began as a tent on the river, and eventually the main building, now the restaurant, was built from salvaged redwood from a cannery. The design for the place came from the owner’s native roots from England. Her husband added touches from his native country, Norway, as they expanded and began to offer rooms to their guests. Each small cottage has a particular character, name, and personality. Call ahead for dinner reservations and call weeks ahead for a room, it books up quickly. After filling up on an excellent breakfast, we continued heading south in search of our next camp sight. We stopped along the way at any place that looked interesting or fun. We had no plans, no internet, and nothing other than ourselves to keep us company. Being off the grid was an amazing thing even if only for 48 hours. I read the other day that, offline is the new luxury, and I believe it after this trip. As we drove south, the lack of buzz we felt from the world was something similar to a mental massage. We couldn’t post pictures, we couldn’t see the news, we couldn’t scroll through feeds, and we couldn’t do much more than just dream. It was really nice. 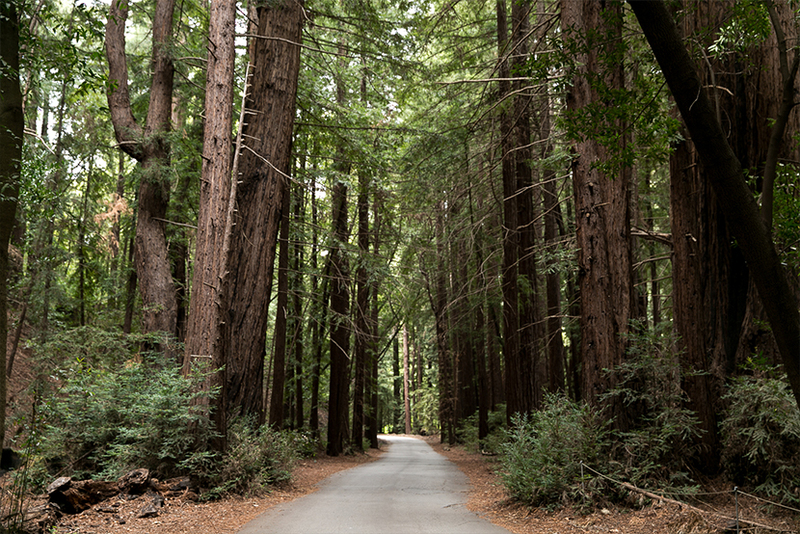 Along the way, we found a dirt road that lead into the woods. 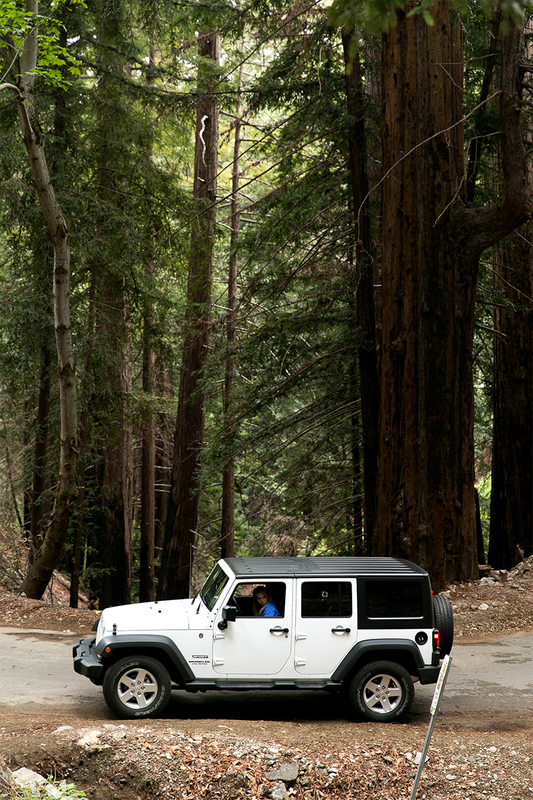 We followed, and though we didn’t know where it would take us, we knew we would get to experience the Redwoods in their element. I quickly fell in love with how large the trees were. 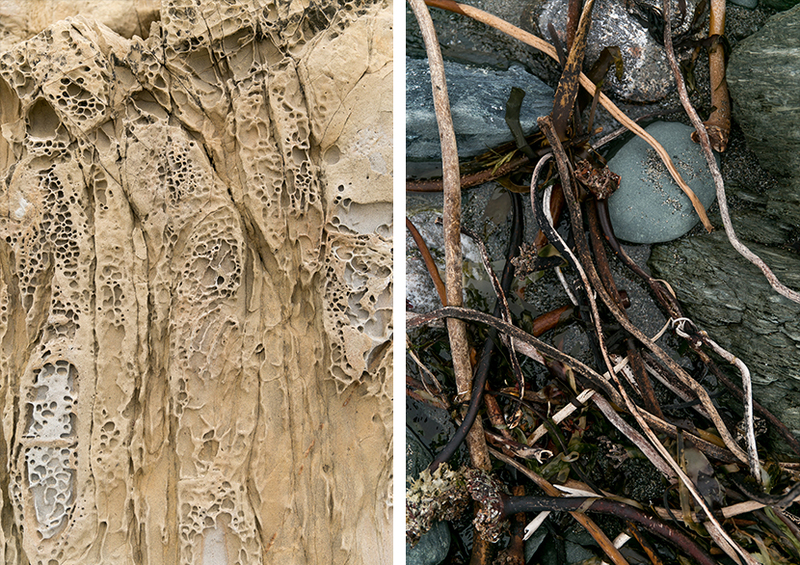 I felt that they could tell stories and were alive in some figurative way. 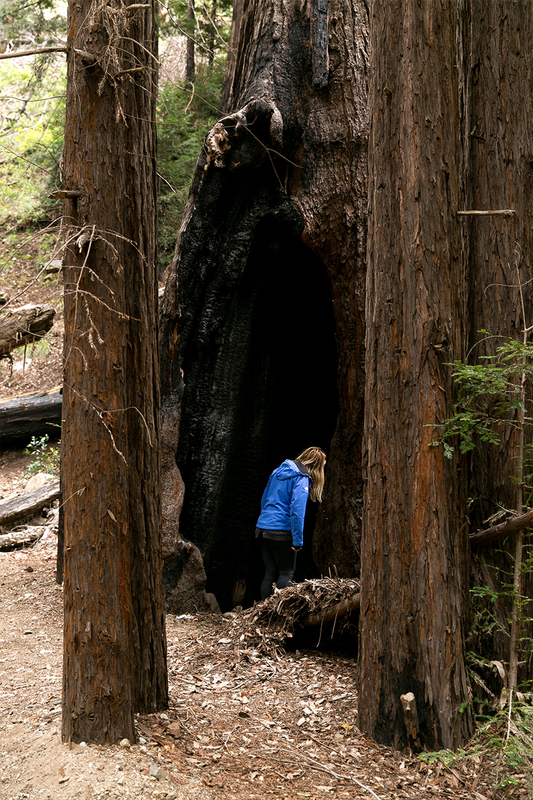 Not to mention the smell was overwhelming in the forests in the cool, damp air. As we drove south, we had one goal, find our next camping spot. There is a spot my cousin told me about that we planned to find. Don’t ask me how to get there because I swore not to reveal it’s actual location. After a wild and fun ride on back roads that only a 4-wheel drive vehicle could handle, we finally turned a corner and found the view we were promised. When we arrived, we pulled in, set up camp, which entails moving everything in our car from the back to the front, and then decided to enjoy the view. 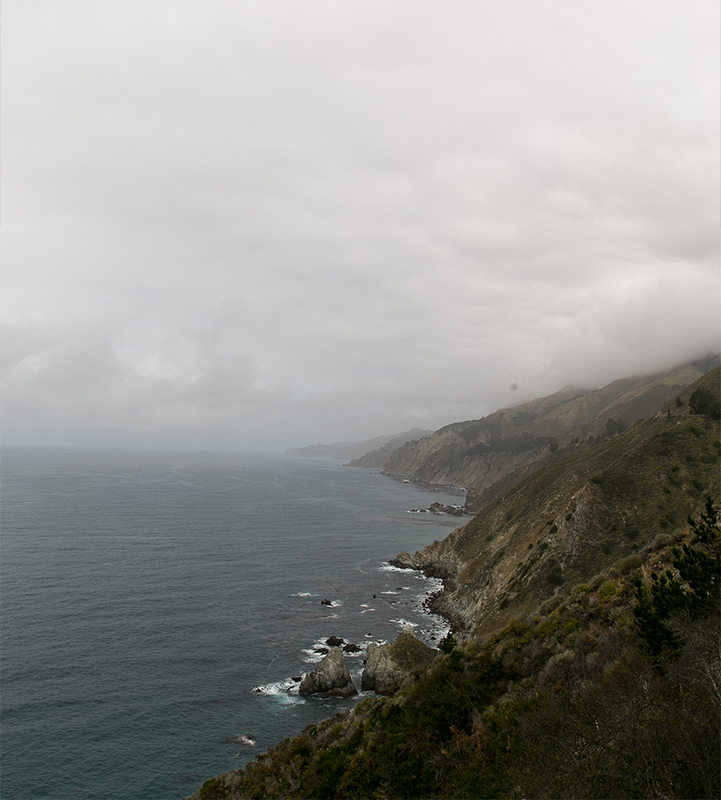 While in Big Sur, it was pretty chilly and cloudy. 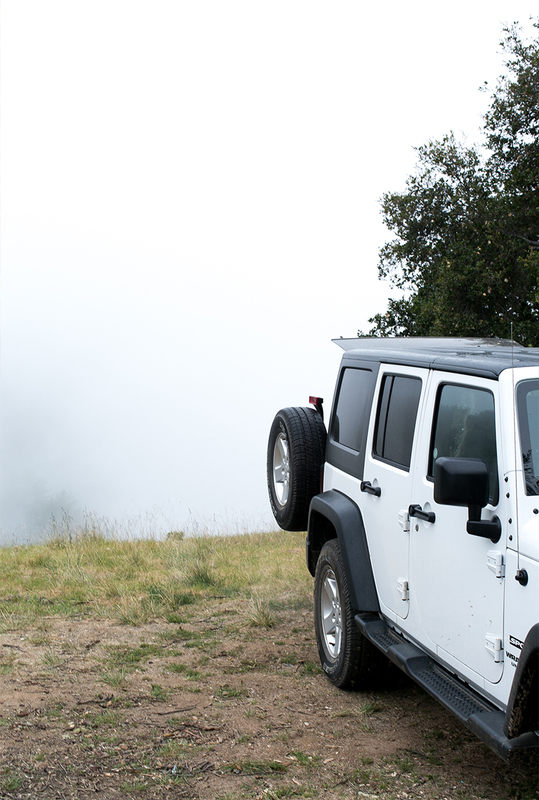 The view on a clear day has to be amazing because even our view in the fog was magical. 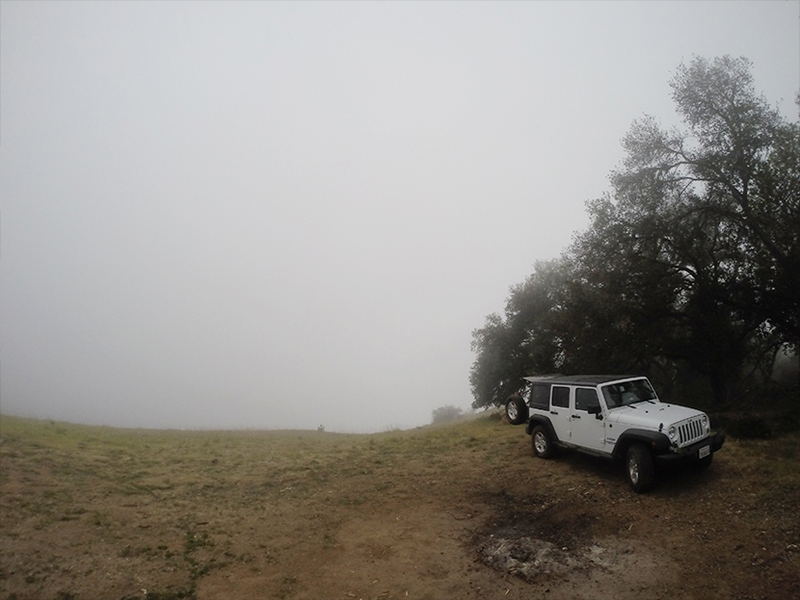 Even with the clouds and fog we loved the quiet and stillness we found. There are things that quiet days tell you that are spent watching the clouds roll in across the ocean. When you have no internet access, your phone is simply a camera, and you can hear what your soul has been trying to say for a while. That stillness and quiet are what we found for 12 hours in this spot that felt something like being on top of the world. 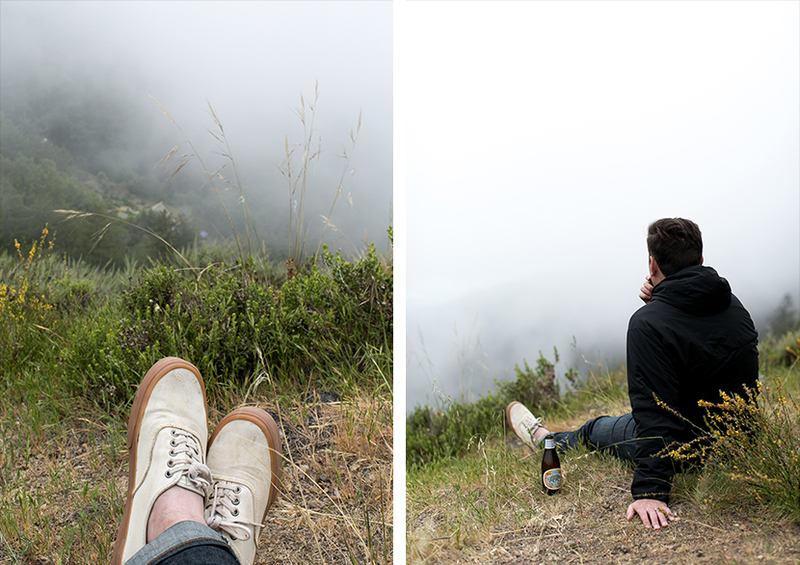 Sitting just feet from our “campsite” we drank beers, Mike smoked a pipe, and we talked about life and the future. 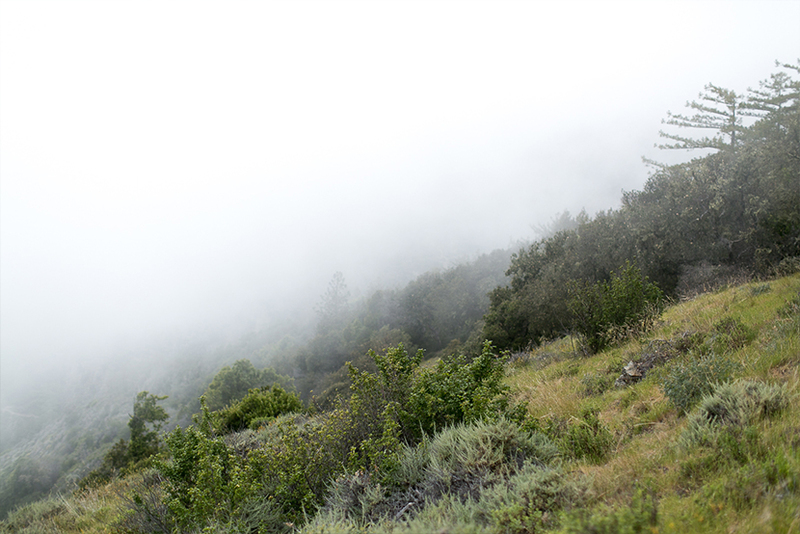 It wasn’t long before the fog had engulfed our ledge of the hill, and we decided we should head back before it got too dark and foggy. 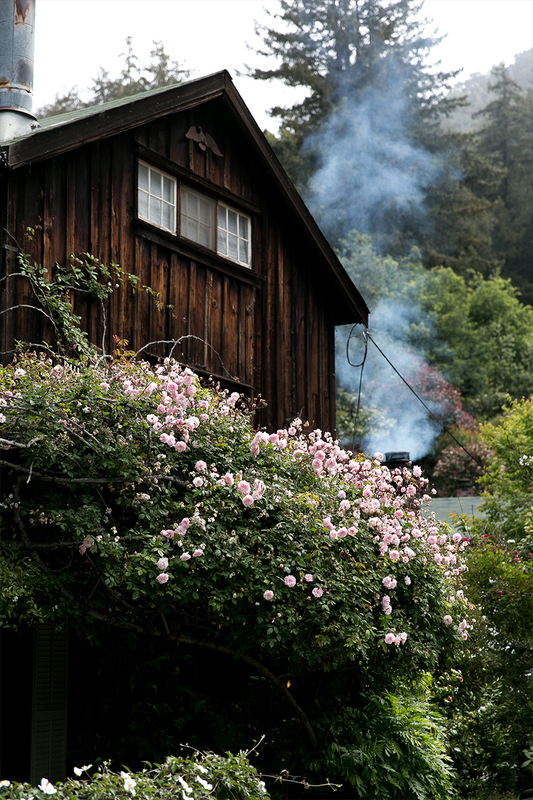 Since California was under a burn ban during our time in Big Sur, we never could have a fire at night. Without a fire, it makes it hard to stay up past dark. So, we closed up the Jeep around 8 PM and cozied in for another night sleeping as well as we could. The next morning we woke after a rough night of sleep. 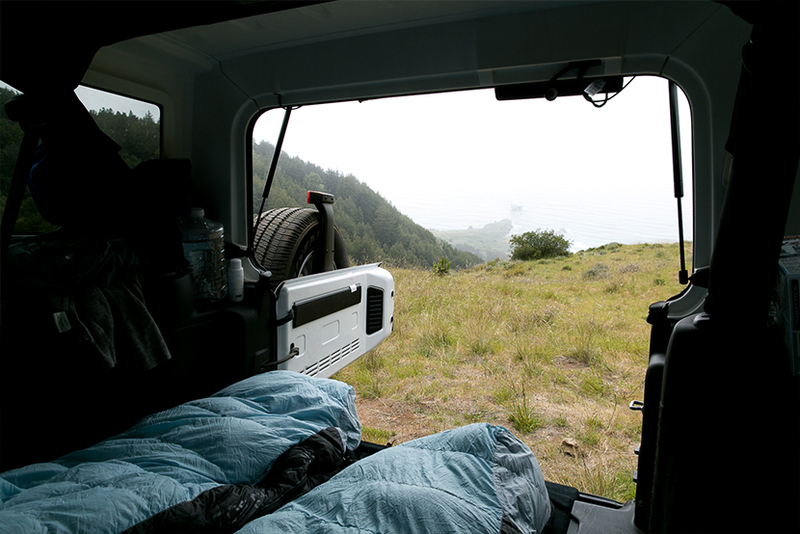 There is beauty and pain when you spend the night in the back of a jeep. However, it was all worth it to wake up to a view of the water 100 ft below our feet. I will never forget that. We spent the morning easing into the day. The view was amazing but with only a couple hours of solid sleep we were just about ready to get back to civilization again. Once we had the energy to pack up we started down the miles of dirt road and headed back to Deetjen’s for a breakfast by the big fire. By the end of our first up of coffee we had both decided two nights in a jeep was enough, we were ready for a hotel. 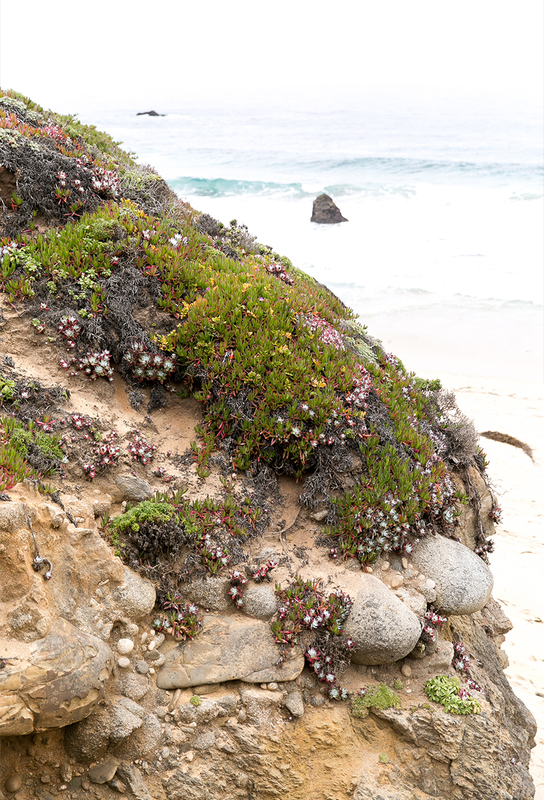 Big Sur is only a couple hours from Monterrey and Carmel, so our options were pretty abundant without giving up all the charm of the coastal life. We took the rest of the morning to wander north. 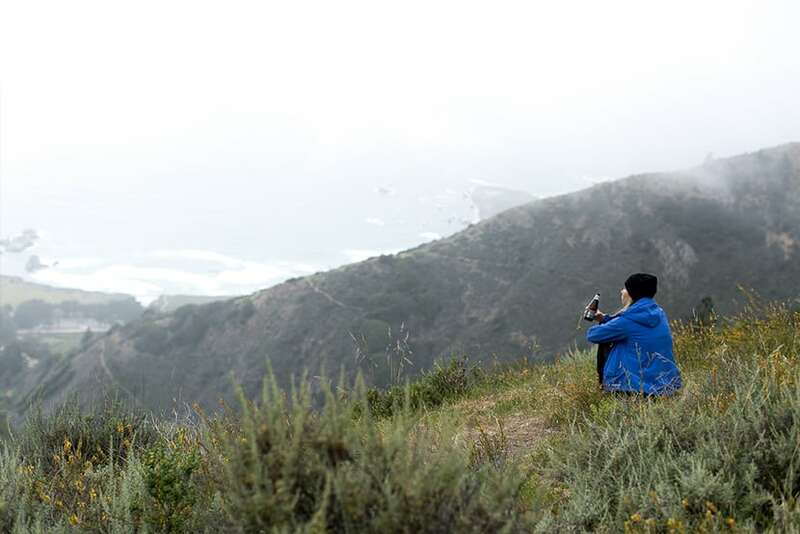 We closed out our nearly, 52 hours without cell service about the time we were north of Big Sur. Instantly, we felt the buzz of the social world and internet take over. 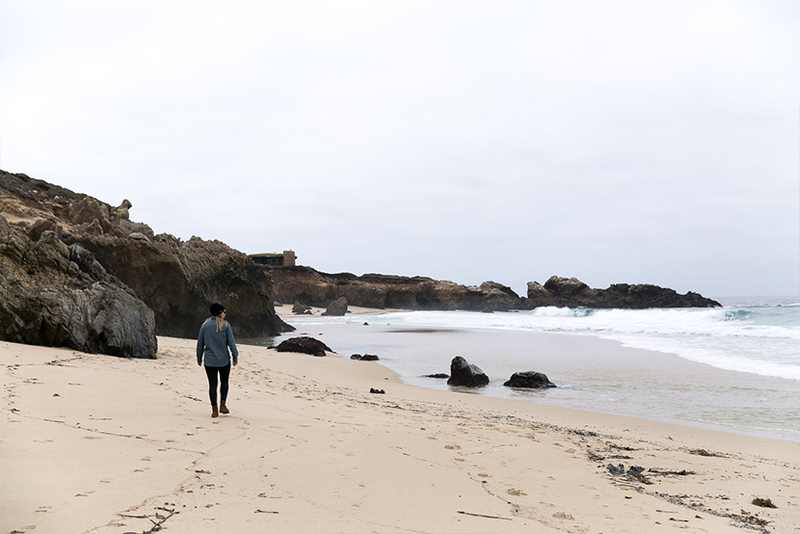 To keep the buzz away a little longer we stopped road side to wander the beach, dream of living off-the-grid, and take in that last scent of the coast. The smells of earth, flowers blooming, eucalyptus, redwoods, ocean water, and campfires was something that will stay with me forever. My hair, now over three days unwashed, smelled of all these things. Though all I wanted to do was comb out the bedhead, I secretly hoped it could smell like that forever. I knew it wouldn’t, but I wished I could have bottled it up for those days when all I wanted was to remember the last five days in this magical and mysterious place. 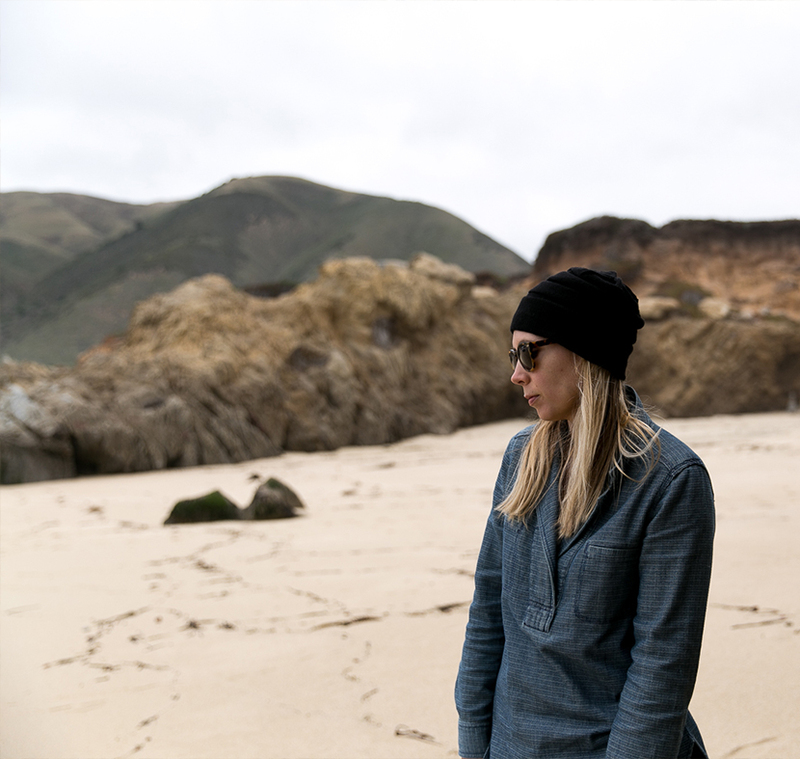 As we took in the last moments in Big Sur, I decided this was one of those magical places in the world that I would forever return to. You know the kind? The ones you are haunted by and crave in your soul. Maybe it was the silence of the hills, the sound of rushing waves, the grandeur of the landscape that felt endless, the smells, the colors, or even the textures. Any of these things could explain the feeling, but either way I knew I would forever dream of returning and hopefully would very soon. 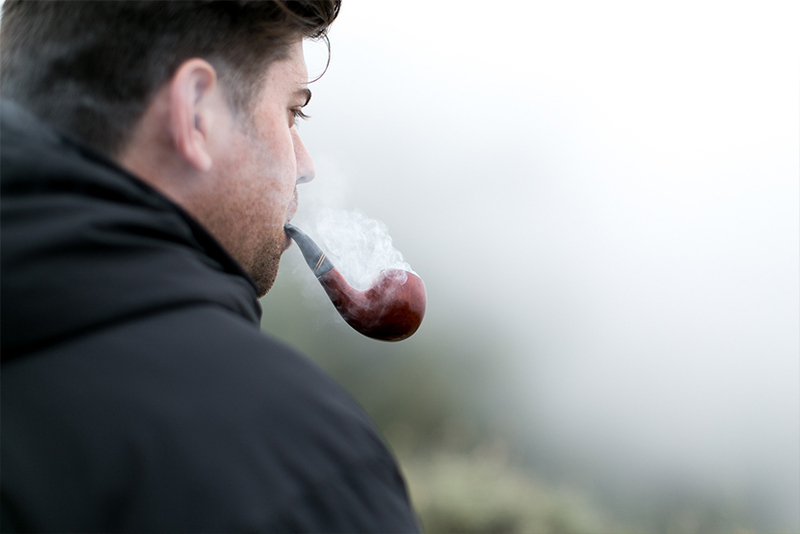 It joined the ranks of favorite places with Cape Town, Paris, Lake Michigan, and Joshua Tree. Everyone has a different list, but this is mine. We have been to many places, but only a few have captured my heart and soul. 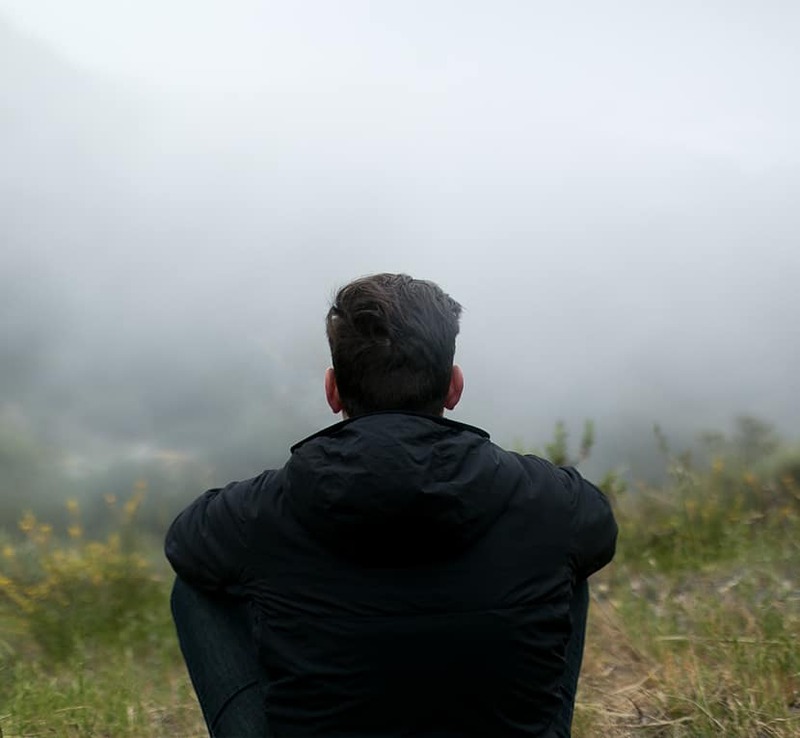 It was a perfect time to take a deep breath, remember what mattered, focus our sights more clearly ahead, and to be present with our thoughts. We all need moments like that. 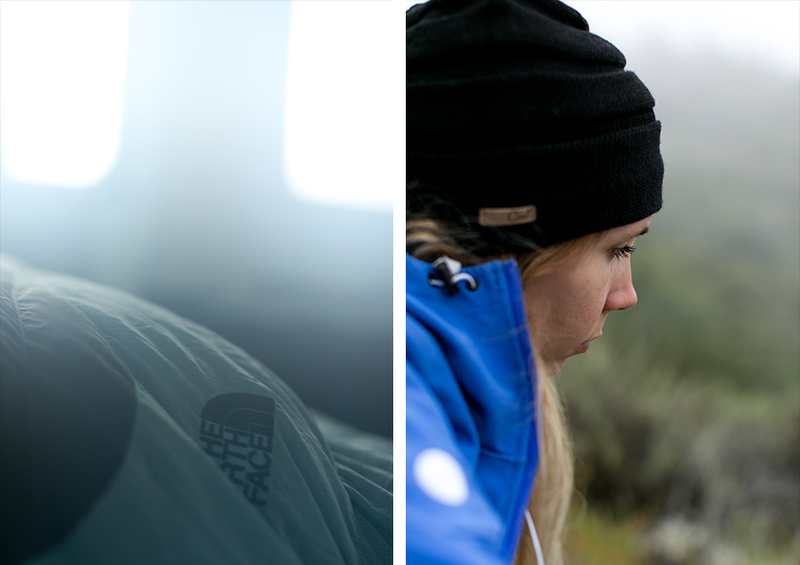 These moments may be found far from home or in bed, but either we way need them. Every breath and moment are worth feeling, absorbing, and some are even more important to grab and hold onto than others. 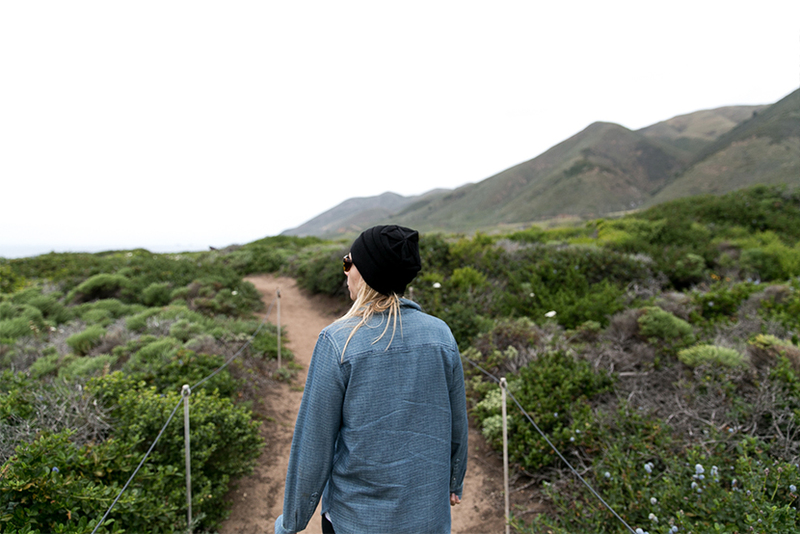 Our time in Big Sur was one of those beautiful pauses in life. 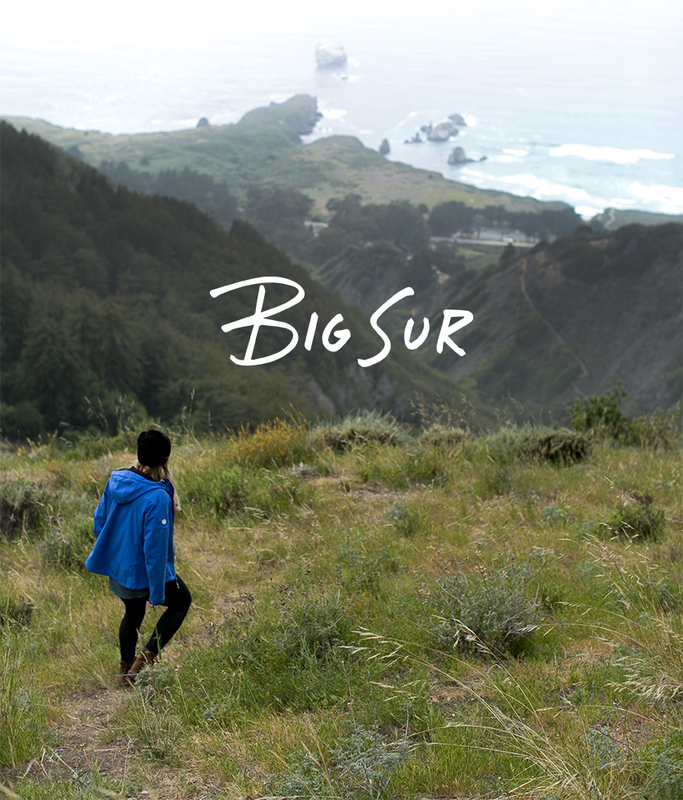 Next week we will share our Big Sur Travel Guide. Hang in there! We have gathered all of our recommendations and your’s, so you know what to pack, where to stay, what to eat, where to get lost, and more. We are so excited to share one more post from this amazing trip.